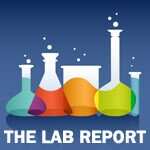 Welcome to The Lab Report sponsored by Apologia Science! This summer has been HOT! I love the heat, but this is getting crazy! These 100+ degree days have made it almost too hot to enjoy outdoor activities except for the pool. You can almost feel the sun cooking your skin! It’s that very concept that gave my daughter an idea for a science experiment. Last year, we tried to burn paper by magnifying the sun’s rays with a magnifying glass. We didn’t get fire, but we got some charring of the paper. This summer, my daughter wondered what would happen if we used something other than paper. On our kitchen island, she spied a cherry, a tortilla chip and a cube of cheese. She grabbed them and a magnifying glass and was out the door. The heat from the magnified sunlight burned a hole in the tortilla chip. The cheese actually glowed from the brightness of the suns directed rays. The finished product was melted cheese. I wish you could see this better in the video, but the juices in the cherry were actually boiling and bubbling out. If you listen closely to the video, you can hear it. This was a perfect experiment to utilize the sun’s rays this summer. Try this at home with other substances and see what results you get! Don’t forget about the Science Show and Share Link Up with Apologia tomorrow on Apologia’s blog! Have a homeschool science related post, link it up! That is so cool! I always thought it was a myth that a magnifying glass could help to burn something. Very interesting. Will have to try this with my boys. I will have to try this with the cherry–am curious to see the juices bubbling. Ohhh, this would be fun to do at homeschool group!